A new $550 million development planned for Southport promises to breathe new life into the northern end of the Gold Coast after years of playing second fiddle to Broadbeach and Surfers Paradise. Called the Queen Street Village, the mix of residential apartments, hotel tower, commercial office space and retail will be built on the site of the former Gold Coast Hospital. The first stage will include a 19-level building names “Palladium” featuring 17-levels of residential apartments, and a retail plaza on the ground level. 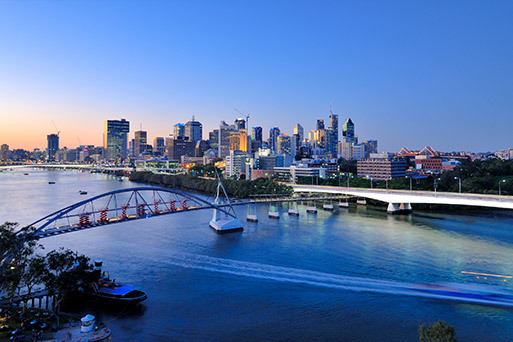 Brisbane developer Property Solutions is behind the village, following on from other projects including The Barracks at Paddington, the urban renewal of Nundah Village and James Street at New Farm. Joint managing director David Blanck said pending council approval, construction would begin on Palladium early next year. “Due to the size and nature of our integrated master-planned community, our vision for this development is to rejuvenate the area and inject life back into the former Gold Coast Hospital site in Southport,” Mr Blanck said. Queen Street Village Marketing Manager Adrian Parsons said the development would cater to a “thriving local population” predicted to grow at 3.5 per cent a year in the next two decades. A number of other major apartment developments are also in the pipeline for the Gold Coast, including Sunland’s luxury tower at 272 Hedges Avenue, Mermaid Beach; Magnoli apartments at Palm Beach and a twin tower at Greenmount. In addition, the Spyre Group will launch its $79 million Elysian Broadbeach this month featuring 65 luxury apartments, and Citimark and the Morris Property Group also have insignificant projects underway. 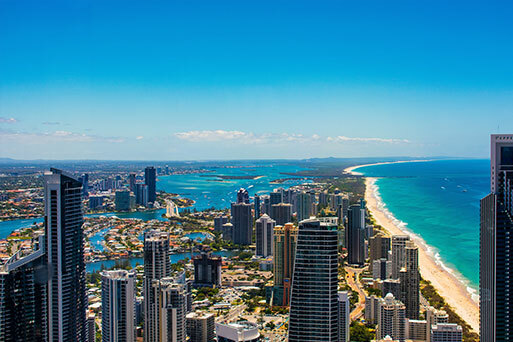 The latest Herron Todd White review of residential property warned of decreased sales in the Gold Coast apartment market, with “developers now offering incentives and large commissions to real estate agents”. But it was a different story for prestige apartments in the $750,000 to $3m range which were experiencing strong demand and a ten per cent improvement in values.